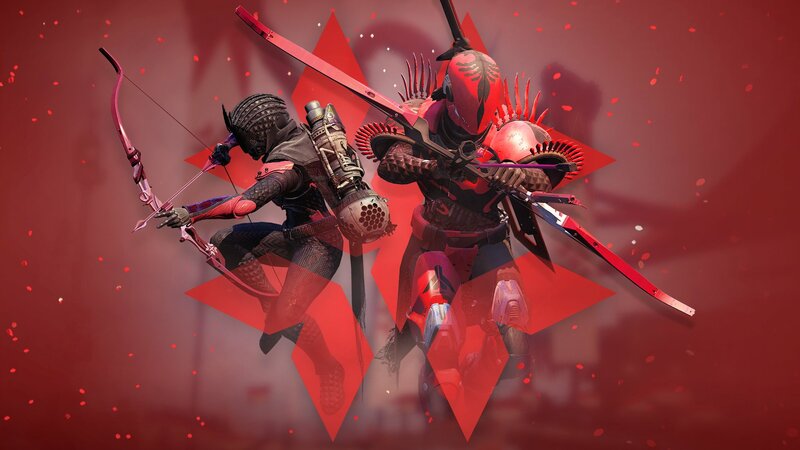 Bungie, who is now going at Destiny 2 alone, has announced their annual "Crimson Days" Valentine's event. It'll run from February 12 through February 19, and will once again focus on "Crimson Doubles," a 2v2 PVP playlist in the Crucible. If you're close to your partner your abilities will recharge faster: you probably know the drill. Rewards include a slightly-skinned bow called "The Vow," that will come in at power level 650 if you own the Forsaken expansion. Basically just grind out wins or losses and earn seven or five tokens respectively for each. The Vow costs 100: you can find the full list below. When I first starting playing the original Destiny, these sorts of "annual MMO style events" were new and engaging. But at this point they're basically just reskins and I can't find myself wanting to log on to play them, much less grind them out.